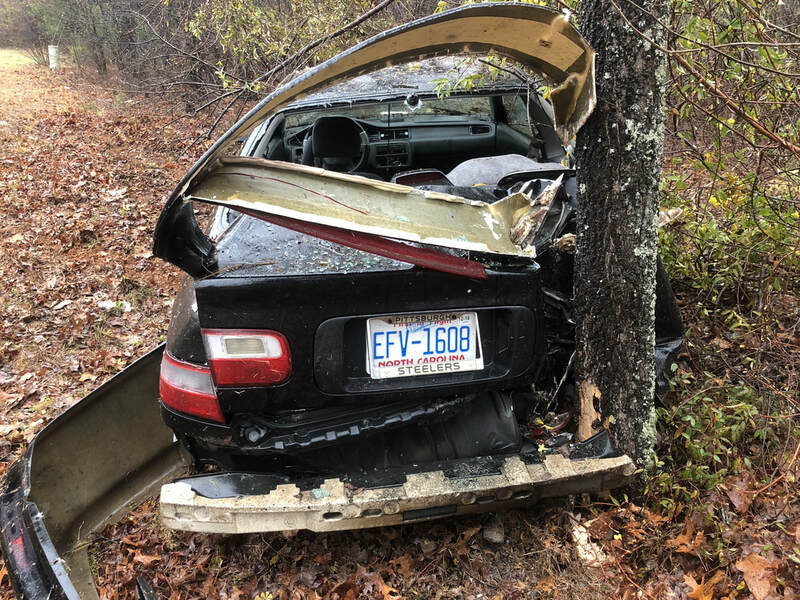 November 18, 2018- Youngsville units responded and found a single vehicle off the roadway into the woods. 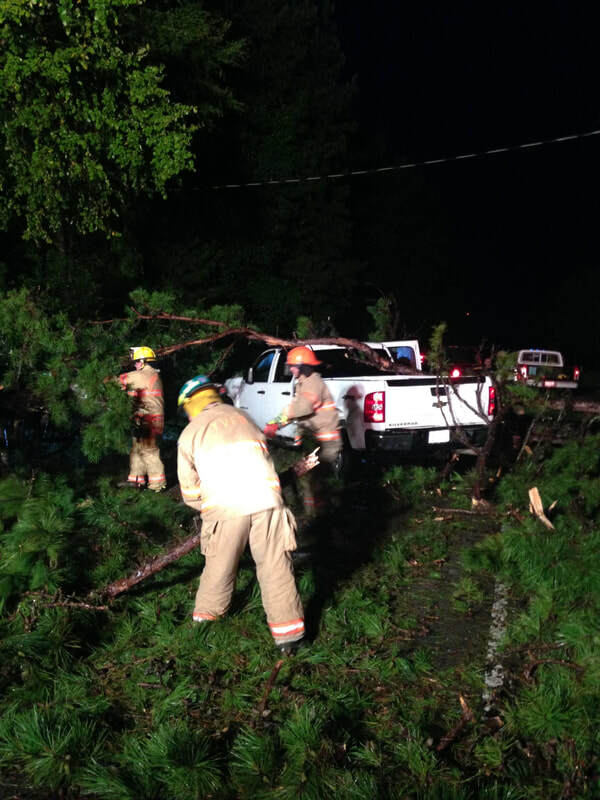 Members had to remove a tree and perform a door pop in order to access and remove the patients from the vehicle. 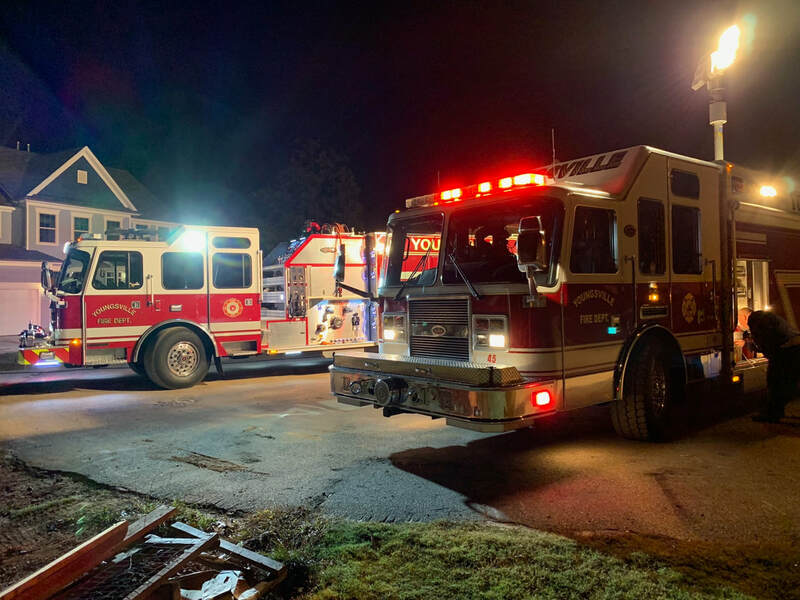 October 25, 2018- Youngsville responded to a reported structure fire on Summit Lane. Units found a gas fire place that extended to the house. Units controlled the fire with a ABC fire extinguisher. Units checked for extension before returning to service. 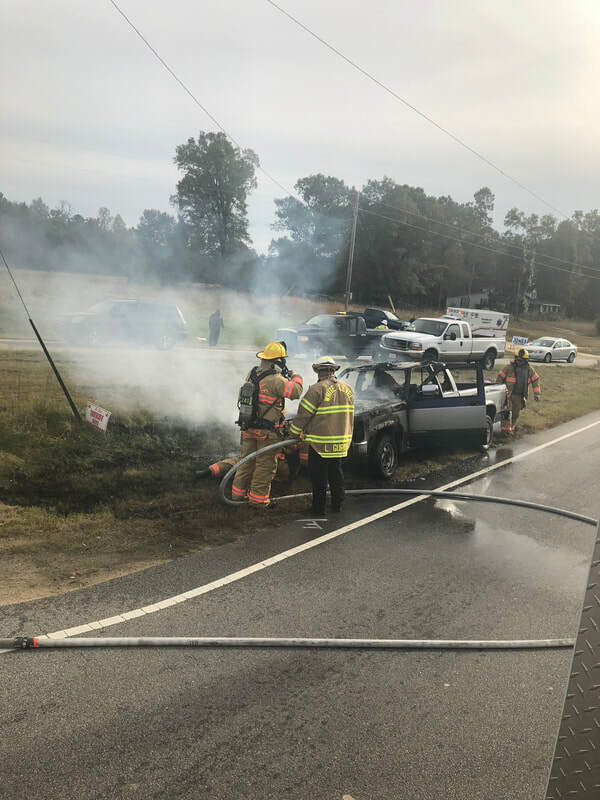 October 25, 2018- Youngsville responded to a reported vehicle fire on 98 highway. Units arrived to find a working vehicle fire. The fire was quickly brought under control. October 10, 2018- Units responded to a reported accident involving a dump truck. YFD arrived to find a passenger vehicle and dump truck involved in an accident. Members attended to patients and controlled the scene. 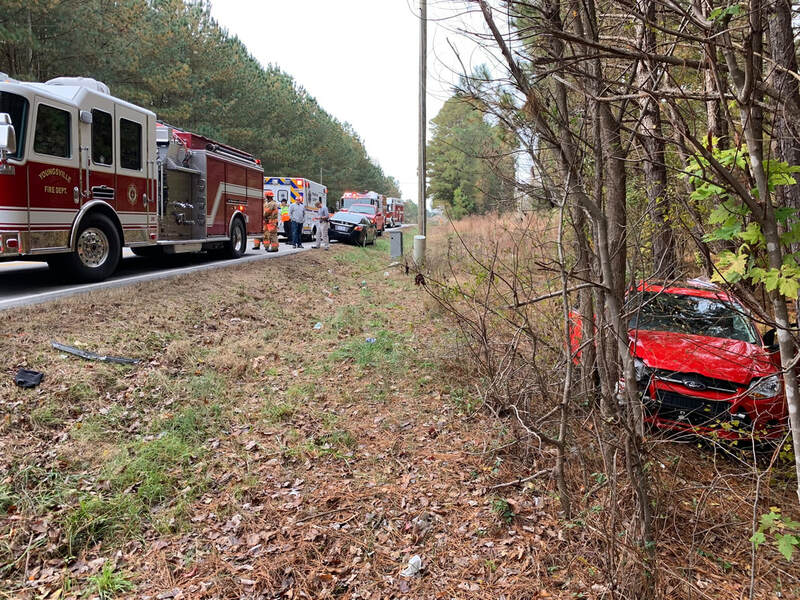 October 10, 2018- Youngsville and Bunn Fd responded to Highway 401 for a reported head on accident. YFD arrived first on scene with two cars and a confirmed head on. YFD performed a door pop on one of the vehicles to gain access to the patient and aid in removal. 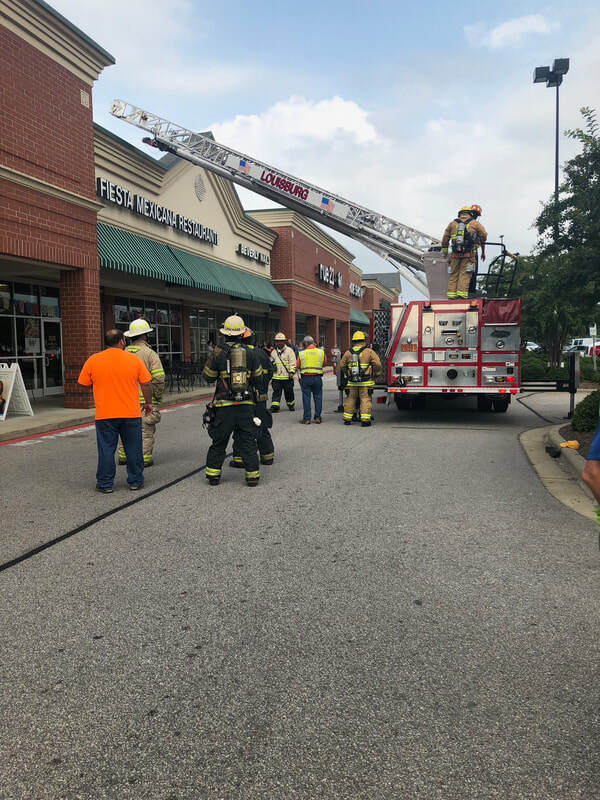 September 21, 2018- Youngsville fire responded and assisted LFD units off Retail Way with investigation on an Odor in the building. September 15, 2018- Youngsville fire responded to a reported vehicle that was hit my a fallen tree. Units arrived to find a tree down on a pick up truck. Members utilized numerous saws to quickly remove and gain safe access to the vehicle. August 20, 2018- Youngsville responded mutual aid to a working structure fire. Louisburg arrived to find a 1 story house with a working fire. Youngsville members assisted LFD. August 19, 2018- Youngsville fire responded to a reported overturned vehicle. Units arrived to find a SUV on its roof. Units stabilized the scene and performed patient care. July 28, 2018- Youngsville fire responded to a reported accident with injuries. Units arrived to of a hit and run accident and had to preform a minor extrication to remove patients from the vehicle. July 5, 2018- Youngsville fire and mutual aid units responded to a reported building fire. Units arrived on the scene with a working two story garage fire on Tarboro Road at Lancaster Farm Road. Engine 41, Engine 42, Tanker 247, Squad 45, Truck 4 as well as Bunn Fire Department operated on the scene. 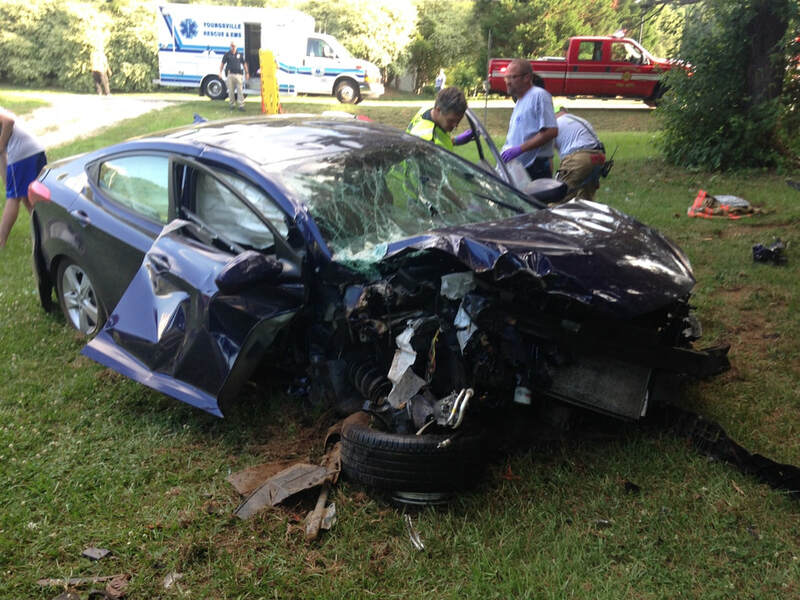 July 1, 2018- Youngsville fire and Ems units responded to the report of a accident with injuries. Units arrived and advised they had a single vehicle accident into a tree on NC 96 Highway West at the Olde Liberty Golf Course. Engine 41, Squad 45 and Truck 4 operated on the scene before returning to service. June 14, 2018- Youngsville fire and Ems units responded to the report of a accident with injuries. Upon arrival it was found to be a single vehicle accident into a tree. 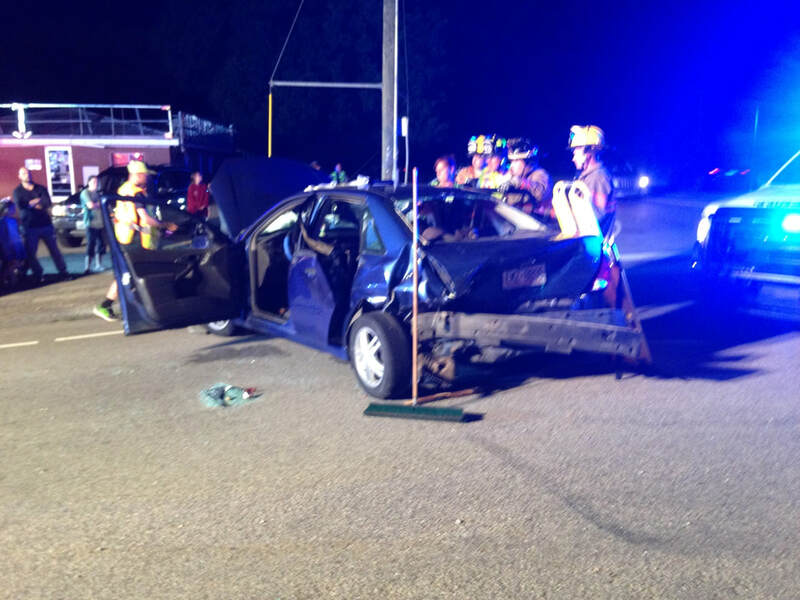 Engine 41, Engine 341 and Squad 45 operated on the scene to extricate the occupants from the vehicle. June 4, 2018- Youngsville units responded to the report of a accident with injuries. 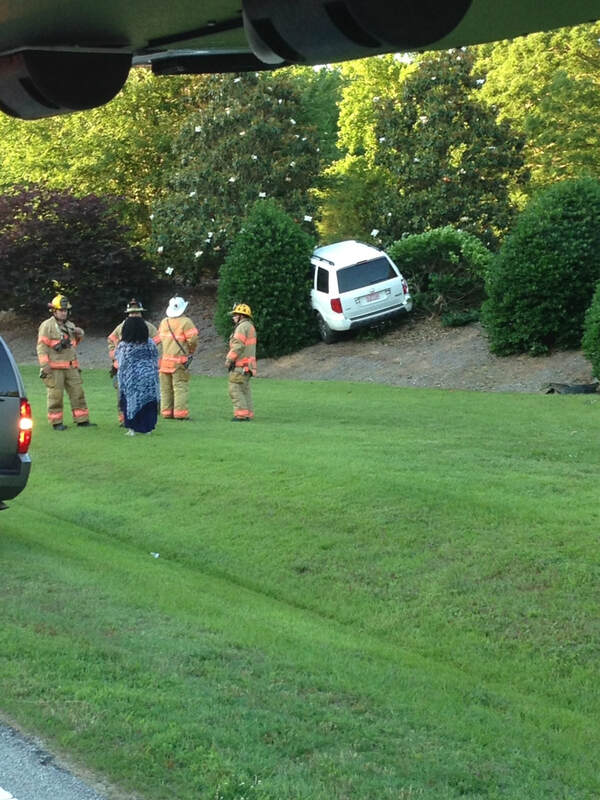 Units arrived to find a single vehicle accident into a neighborhood entrance on NC 96 Highway West and May Store Road. Engine 41 and Ladder 4 operated on the scene. April 25, 2018- Youngsville fire and mutual aid units responded to a structure fire at Long Mill Elementary School. Engine 41, Engine 341, Ladder 4, Engine 241, and Franklinton Fire Department operated on the scene. April 12, 2018- Units responded to the report of a car into a building in downtown Youngsville. Units arrived to find a truck that plowed through the brick wall of a building at Cross and Main St. Units worked to ensure the building was safe and that all injuries where handled before returning to service. April 7, 2018- Youngsville fire responded to the report of a vehicle into the woods off of NC 96. Units arrived to find a two door car that ran off the road and collided with a tree. 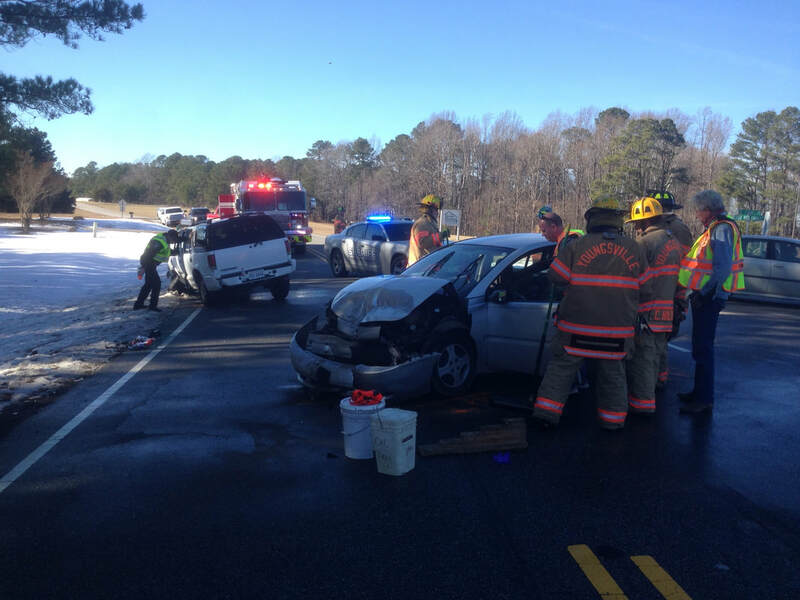 February 18, 2018- Youngsville responded to a multiple vehicle accident on 401 Hwy. Units arrived to find a head on collision. Members attended to the injuries on scene and assisted Ems while securing the vehicles and overall scene. February 17, 2018- Members responded to a reported accident with possible entrapment. Units arrived to find a truck on its side with one entrapped in the vehicle. 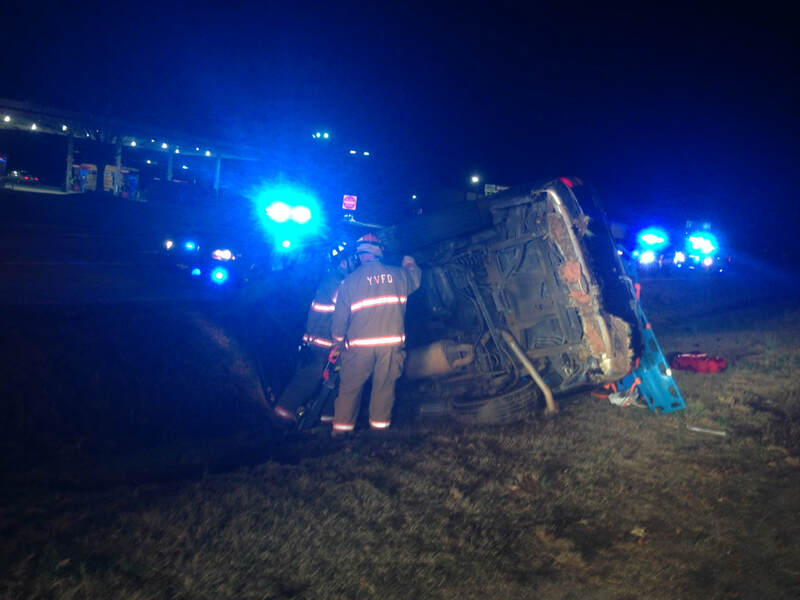 Members stabilized the vehicle and extricated the individual from the overturned truck. 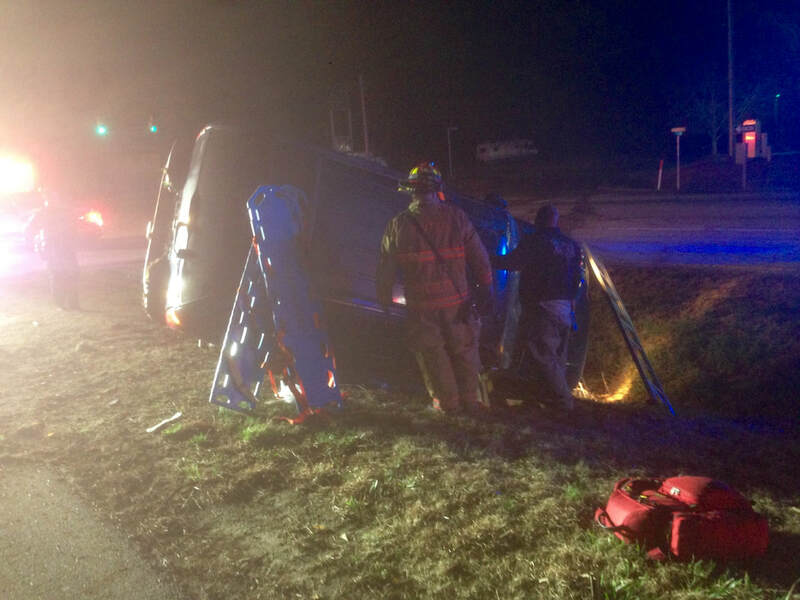 February 17, 2018- Youngsville responded to the area of Wall rd and US 1 for a reported car crash. Units arrived to find a car off the road overturned on Wall rd. 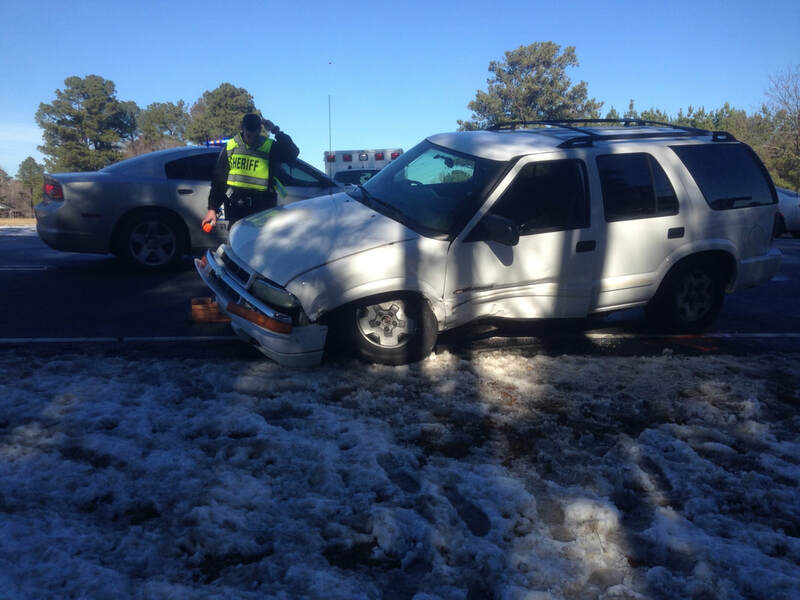 Units stabilized the vehicle and took care of injuries. All units returned to service one the scene was secured. February 1, 2018- Youngsville firefighters responded to a reported accident in a auto repair shop. Units arrived on scene and found a pickup truck that was on a vehicle lift that failed and collapsed. Units made sure the scene was secure and safe to prevent any injuries. January 28, 2018- Youngsville responds to a reported car accident. 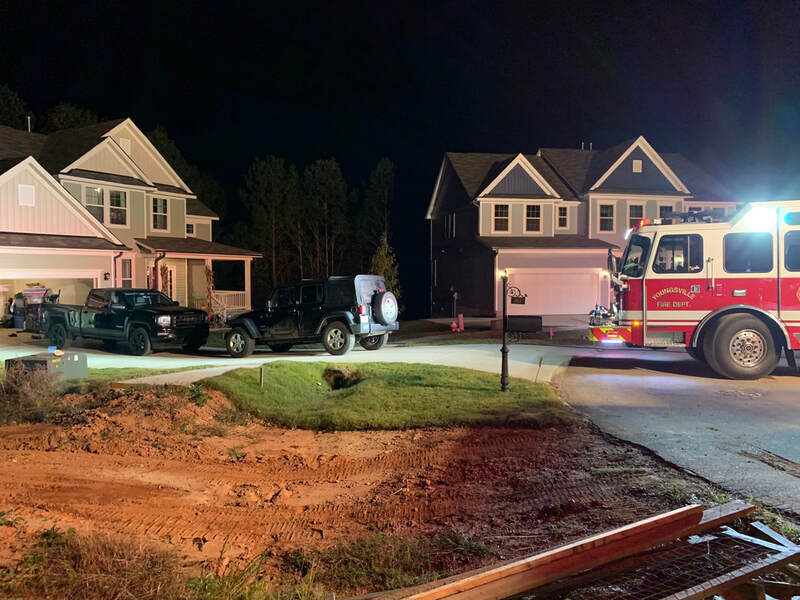 Units arrived to find one vehicle into a house off of Delterra Dr. Units handled patient care and made sure the scene was safe before returning to service. January 20, 2018- Youngsville fire responded to a reported multi car accident. Units arrived to find a two vehicle accident. Units handled patient care and made sure the scene was secure before returning to service. 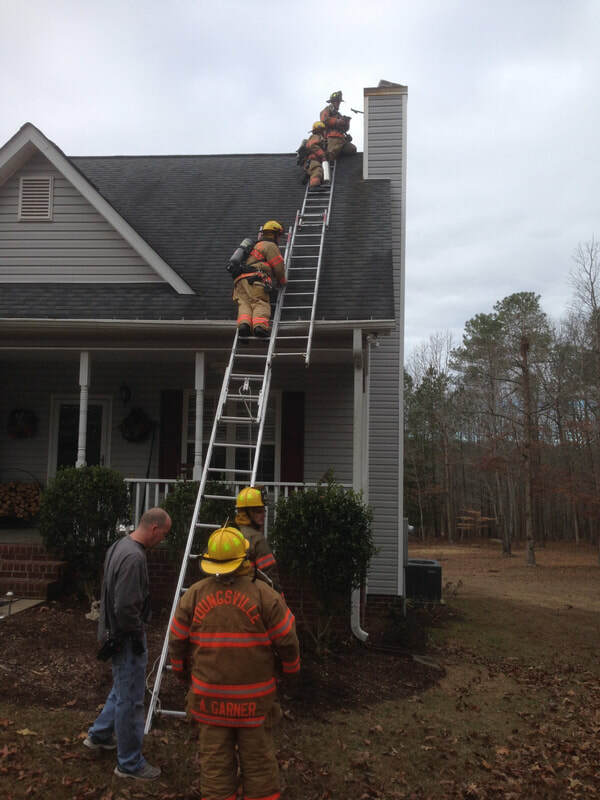 January 13, 2018- Youngsville fire department along with other mutual aid units responded to a possible house fire on Timberlands Dr. Units arrived to find a fire in the chimney. Youngsville fireman went to the roof and opened up to extinguish any hidden fire. To see information on the Youngsville Fire Department and its statistics and accomplishments for 2017 year please click on the link below.